As Christmas gets closer I have been thinking about what foods I want to bake for the holiday season. One Christmas food that I enjoy but haven’t had since being diagnosed with coeliac disease is fruit mince tarts. I have been meaning to make some, however I noticed a pack of gluten free fruit mince bites at the supermarket the other day and therefore decided to try them out. The company, Jon Jon Bakeries have a number of products some of which are gluten free including lemon, chocolate berry filled, afghan and double chocolate chip biscuits and spiced apple & sultana, apricot, berry and the Christmas fruit mince bites. The fruit mince bites are delicious and a good size and I will certainly be stocking up on these. I purchased the bites from Coles however I think that they also stock through Woolworths. Being a NZ based company I am not sure how wide their distribution is in Australia so let me know if you see any of their products around! 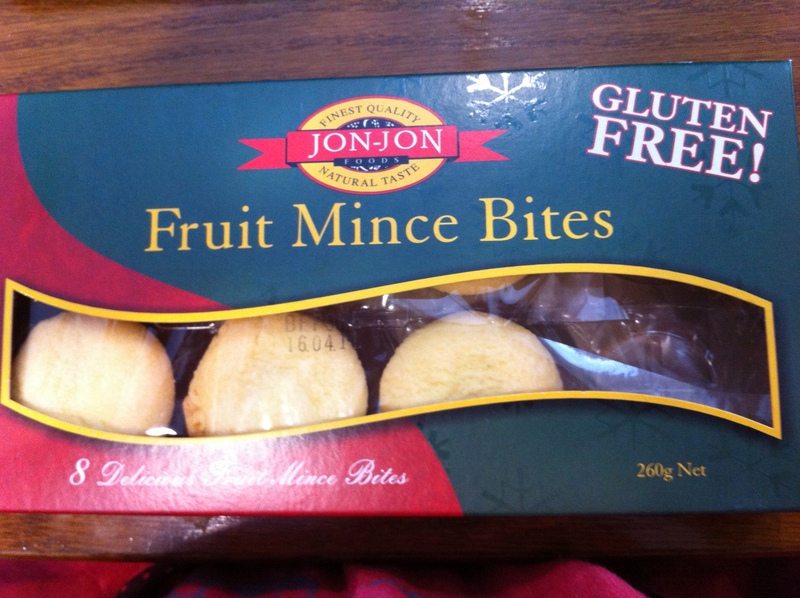 I will also keep a look out for Jon Jon Bakeries’ other gluten free products, especially their afghans, a popular biscuit in New Zealand which I grew up eating! Do you have fruit mince tarts at Christmas time? oh mince tarts, how i have missed you! the bakers delight ones were always so good. do these compare.. at all? I never tried to Bakers Delight ones however I believe that these are as good as any fruit mince tarts that I have eaten. If you try them let me know how you think they compare! 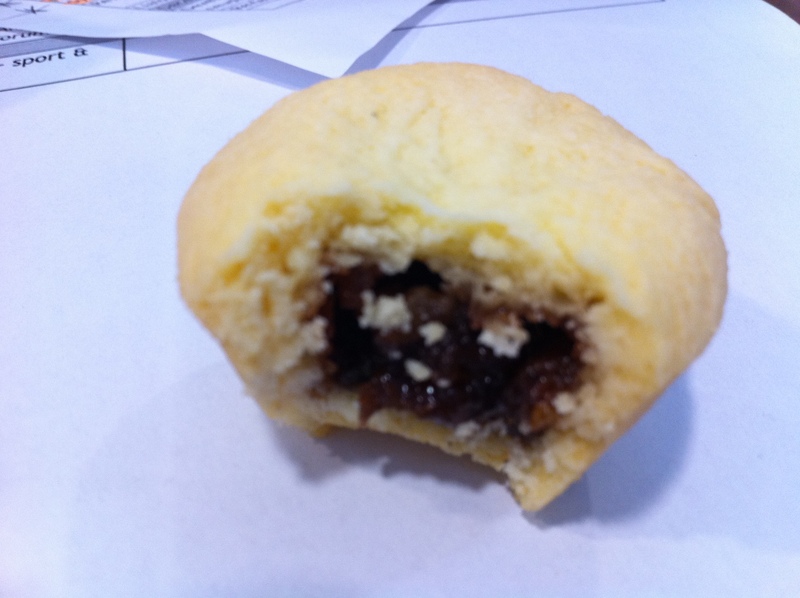 Love fruit mince tarts, but the filling is too rich for my tummy! I thought I would never be able to eat Christmas mince tarts again after being diagnosed as a Coeliac but I found these same tarts and they are as good as any I’ve had.